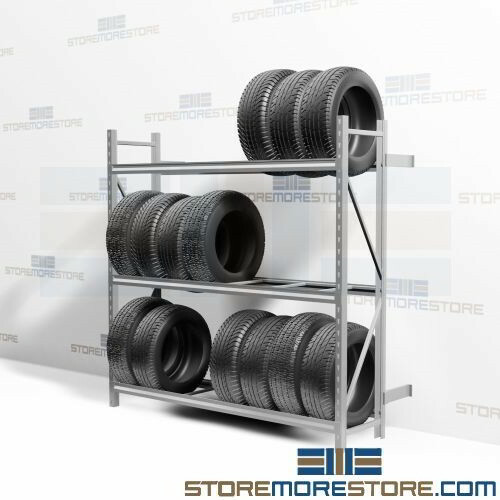 Commercial truck tire racks are designed for efficient storage, display, and organization of bulky automobile and light truck tires for automotive dealerships, repair shops, commercial garages, and more. 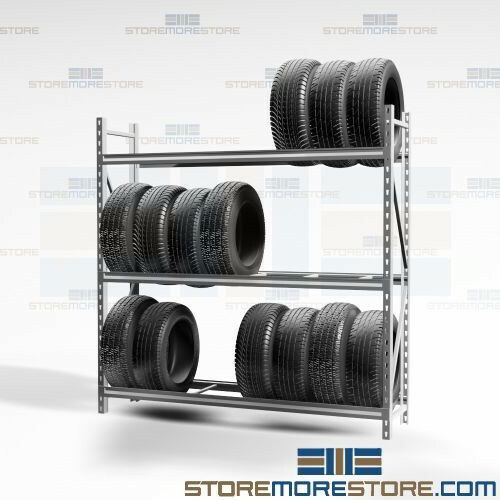 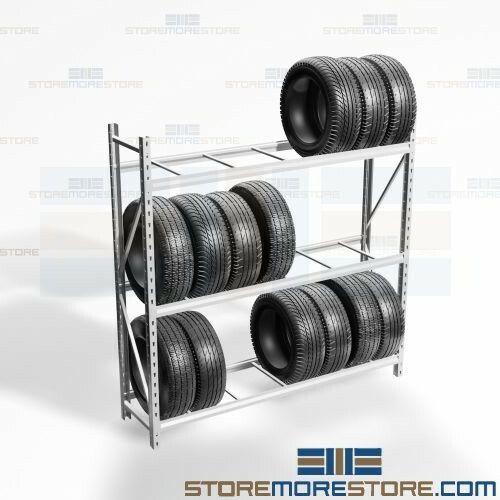 These heavy-duty racks are ideal for storing and organizing tires of various sizes for automobiles and light trucks. 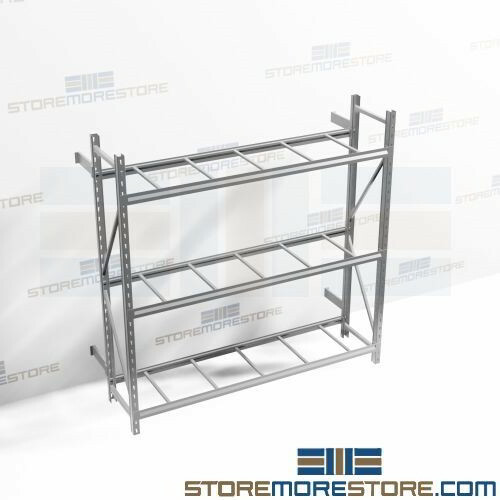 Horizontal Z-beams provide extra capacity (up to 3,800 lbs. 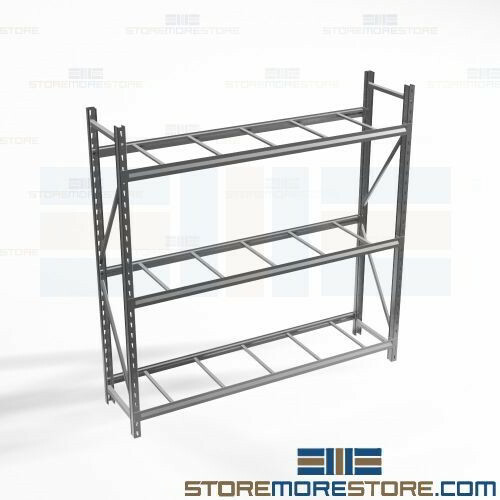 per level) and attach to walls with 4 brackets (included). 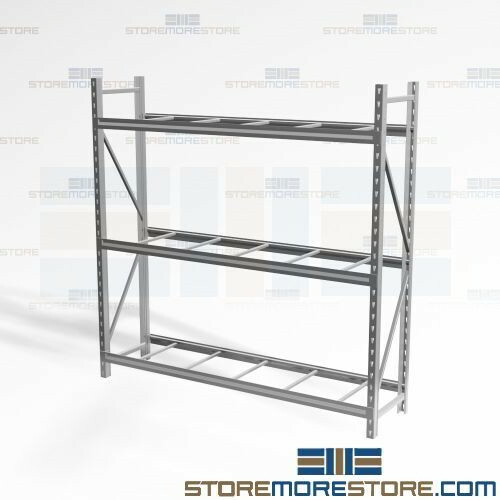 Its boltless design allows easy tool-less assembly with adjustable horizontal beams.